This highly detailed model of the left side of a human lower jaw is enlarged 5 times life size. 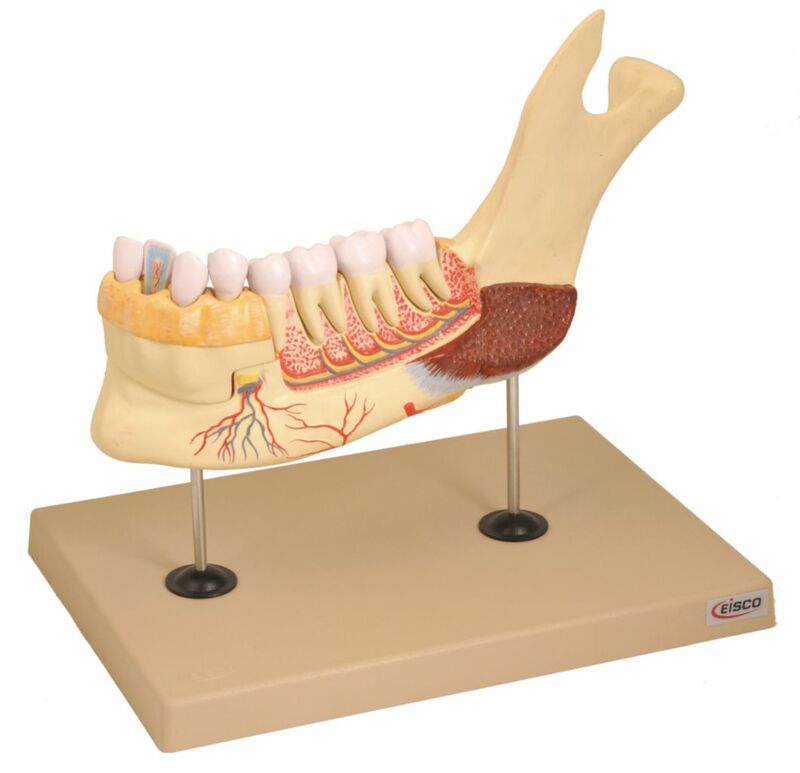 It included a all of the adult teeth which are removable, and a cut away of the body of the mandible to show nerves and blood vessels going to the teeth. An additional incisor tooth is bisected to show internal structures.